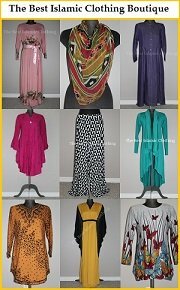 A variety of caftan to include in your Islamic clothing wardrobe that look fabulous with matching hijab. Depending on the style and material used, you can wear kaftan casual or for special occasions and even for office wear if you like. 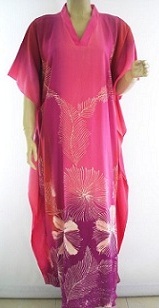 Who doesn't like caftan? It is one of the most comfortable modest attire that you can wear in or outside the house. I used to have quite many of kaftans and wear them at home. Coming from South East Asian background, my typical kaftans are made of cotton or combination of polyester and rayon for added comfort with variety of ethnic designs called batik which are somewhat similar to the photos below. A kaftan is from Persian word for a man's cotton or silk cloak buttoned down the front, with full sleeves, reaching to the ankles and worn with a sash. But now caftan is more popular among the women. 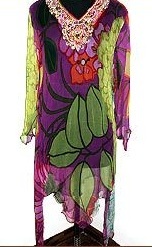 Caftan design has evolved to variety of fashion from its original style. Whatever the changes, its main characteristics of loose fitting and free flowing clothes remain. Forget about our grandmother's kaftan. 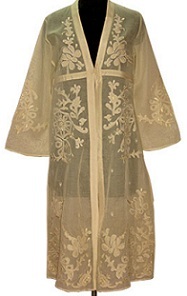 Nowadays kaftan comes in modern style, usually long, flowing, luxurious dress that has long sleeves and ankle length. In Morocco kaftans are designed for casual to elaborately formal like the pictures below which are suitable for parties and weddings. 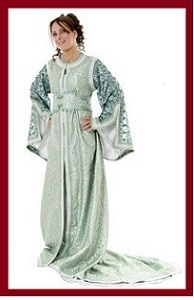 Moroccan kaftan version seems to follow to a certain extent the original design of kaftan with sash attached. These ones are suitable for the bride. The wide sleeves are unique and flattering for a wedding dress. White satin amira and lace veil wrapped around it will complete the look for Islamic wedding dress. With these kinds of elaborate and beautiful modest wedding dresses, they would last for a generation to come. 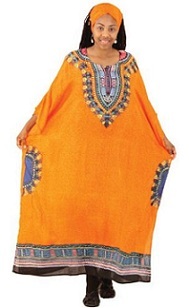 In West Africa a kaftan is a pullover robe which is called boubou in French. There kaftans are worn by both men and women. 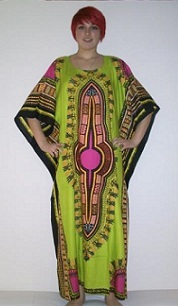 The female version of kaftan is called a kaftan or a boubou, and the male robe is the called Senegalese kaftan. Typical kaftan design and style worn in this region are as the following photos. Kaftan is comfortable, elegant and most importantly modest that suit all hijab wearing Muslimah. Most kaftan design takes away the focus from the waistline. 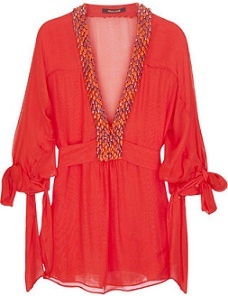 Personally, I love kaftan's floaty and easygoing silhouette. It is one of the most popular Islamic clothing and modest apparel due to its, comfort and versatility that suits all ages and body measurements. Accessories it with fashionable jewelry and trendy leather handbags to keep it right in style. There is also short kaftan which is one of the favourite clothing among the hijabi. 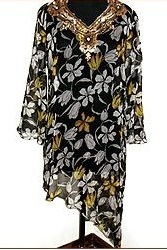 Like the long kaftan, it can also be worn casual and formal. With carefully chosen design and style like the beige and red kaftan below, short kaftan can be perfect for office wear when you pair it with matching tailored pants and closed toe mid-high heels. Note that when you wear kaftan top that made of transparent material, halter neck style or not a full length sleeve, it would be appropriate to wear inner or fitting top of matching color underneath for complete modesty. I would normally wear black or neutral color inners as they generally match or complement most outerwear colors. For more about kaftan check out the following pages .